This case was built for Boise State University. The case is designed to hold CoachComm belt packs, headsets and accessories for the team. 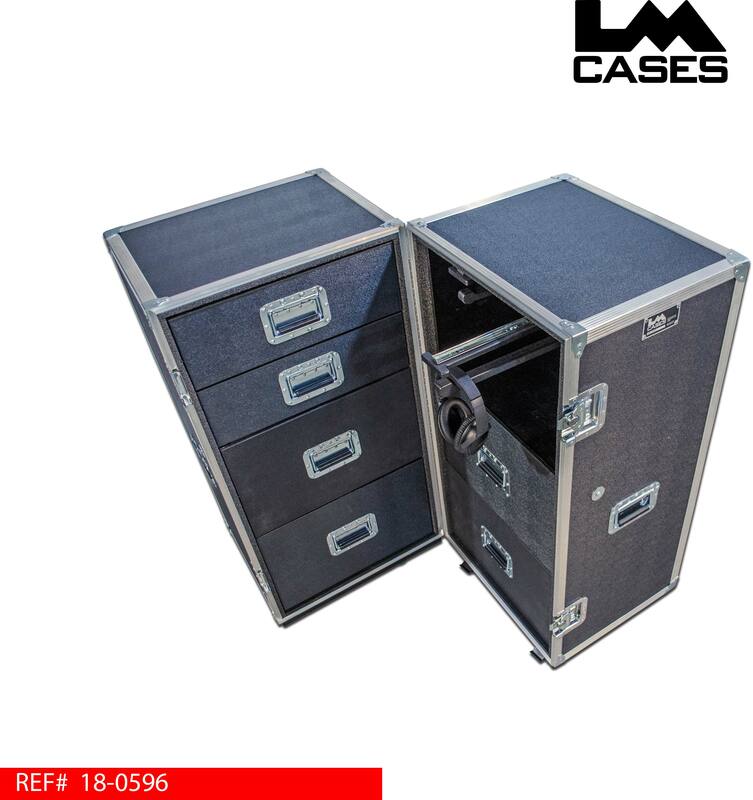 The workbox features 6 custom drawers built out of ½” Baltic birch plywood, finished with black textured coating, and mounted on heavy duty Accuride glides. 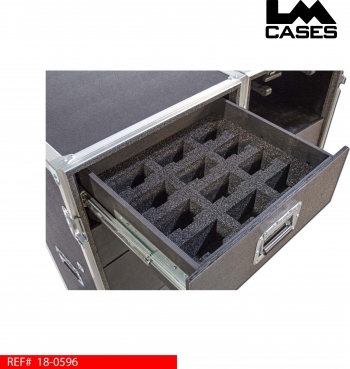 Each drawer set is built into a foam isolated ½” plywood shell that is then mounted into the case. 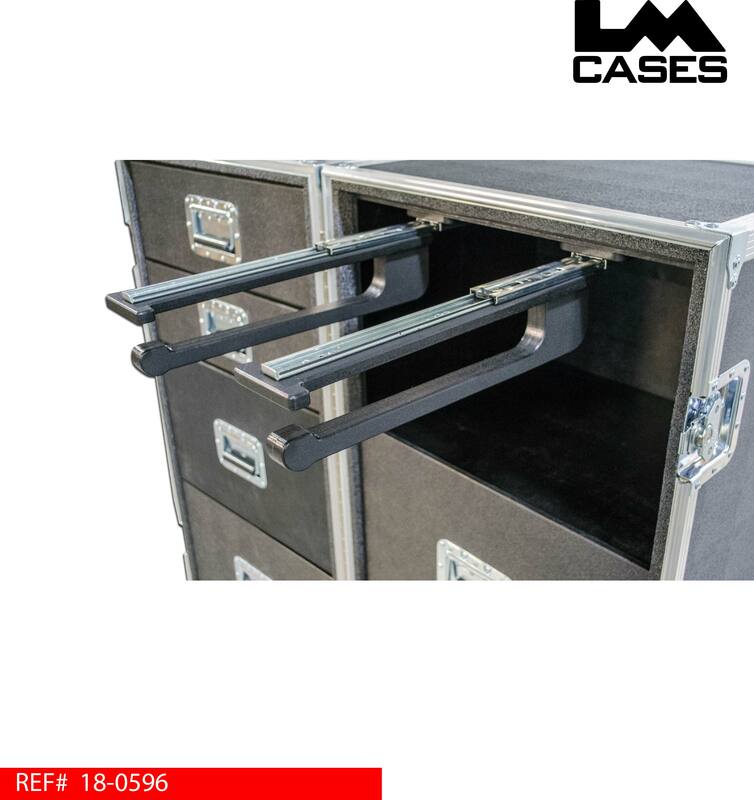 Building the drawers into a separate shell from the exterior case allows the drawer unit to be independent from the case exterior. The inner shell not only prevents outside stress from transferring to the drawer glides, its also provides a cleaner looking exterior by concealing the drawer glide mounting hardware. The case stores 24 belt packs split 12 per drawer. The banks of 12 belt packs are held in custom CNC cut foam inserts that contour the shape of the unit. 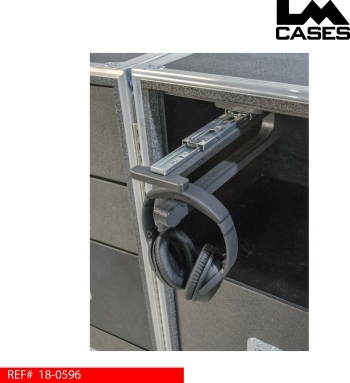 The case also features 2 slide out headphone hangers. These hangers allow headphones to be stored neatly with the cords hanging down into an open area. 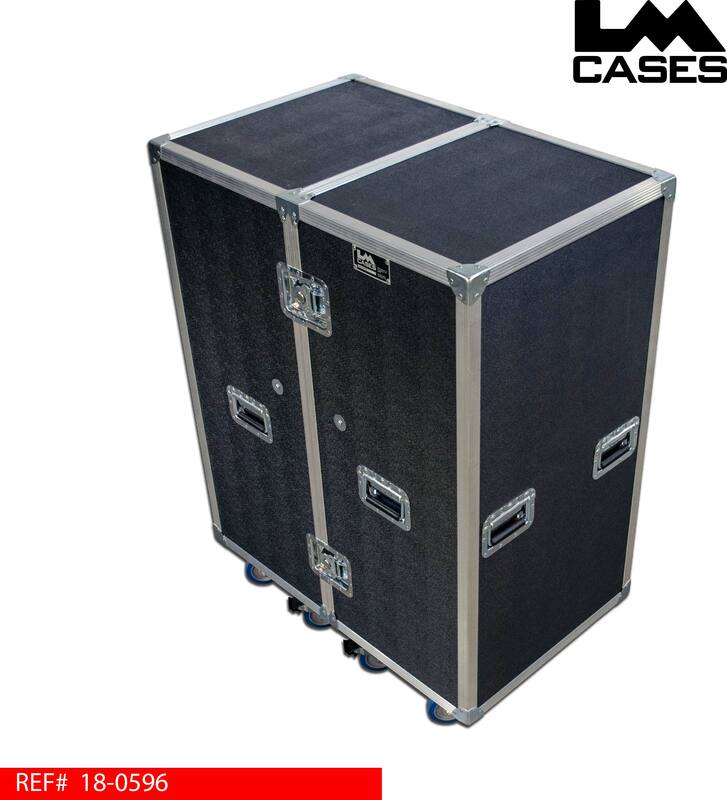 The exterior case is built out of ½” plywood laminated with black ABS plastic. The case features 8 deep recessed handles, and 4” Colson casters. Special thanks to Boise State University!